We worship as usual this weekend: Our convenient community Holy Eucharist service today (Saturday, May 7) at 5 p.m. and on the Seventh Sunday of Easter at 8 and 10 a.m. In his mighty prayer to God in John’s gospel, we’ll hear Jesus say, “The glory that you have given me I have given them, so that they may be one, as we are one, I in them and you in me, that they may become completely one.” These words are achingly beautiful. As much as any words can, they express the infinite depth and breadth of Jesus’s love for all of God’s creatures. Yet usually the unity in God and Christ to which Jesus invites us seems to be beyond our reach. Divisions, resentments, misunderstandings, and all the world’s other means of alienation mask and smother our divine belovedness. That’s one reason Christians make a point to learn and understand one another’s narratives, looking for correlation and connection. We do it in our family and other relationships. We do it so that strangers can become friends. And especially in these times, it’s vital that Christians make a special point to find common ground with those of other backgrounds and faiths. So this Sunday, May 8 at 9 a.m. in the Bishop’s Room, we continue our exploration of Islam with the Rev. Dr. Gerald Larson. This week, he’ll talk about global Islam “from Mecca to the Islamic State.” Next Sunday, May 15 at the same time, our guest will be Sheikh Yassir Fazaga, religious leader of the Orange County Islam Foundation. Please join us. Sunday, May 15 is also the Day of Pentecost, an opportunity to celebrate our unity in Christ as well as our 30th anniversary as a worshiping community. We’ll offer services at 8 and 10 a.m. as usual. Joining the St. John’s Choir at 10 a.m. will be the Episcopal Chorale, a world-renowned gospel choir founded in the Diocese of Los Angeles in 1983 by musical director Dr. Chas Cheatham. A reception will follow in the courtyard. If you haven’t been to St. John’s in a while, remember that you’re an inextricable part of the history we celebrate as we begin our second 30 years. 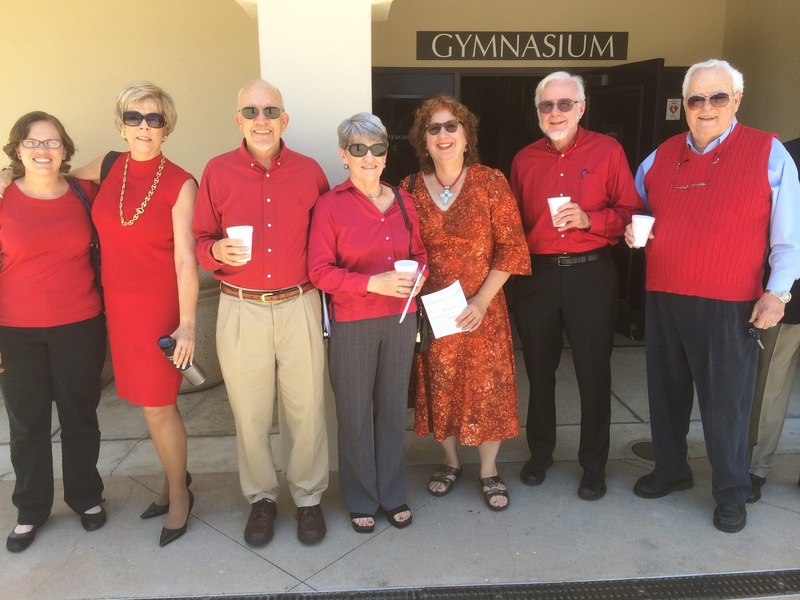 And remember to wear red (just like this matching Pentecost crew from 2014)! P.P.S. 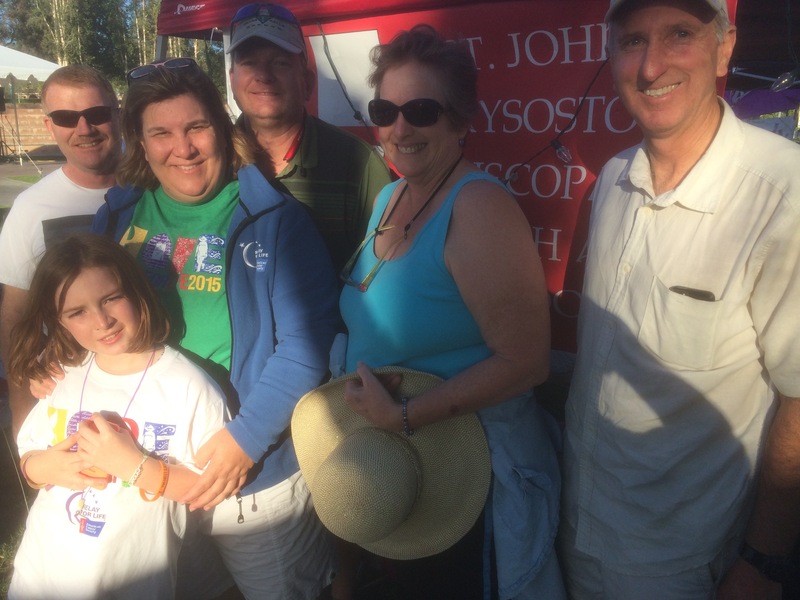 : The Parish Council meets this Monday, May 9 at 6 p.m. (please note new time) in the Bishop’s Room. We bid each St. John’s ministry please to send a representative. If you have any questions, please write Council chair Loreen Guilford (loreenguilford@gmail.com).